Ocala, Florida — A 32-year-old man accused of beating his 4-month-old daughter was released from Jail Friday on a $10,000 bond. Investigators with the Ocala Police Department were notified by the Department of Children and Families after UF Health Shands Children’s Hospital reported that the baby had a broken femur. Doctors with Shands told authorities that the injury did not appear to be accidental. The father, Joshua A. Hand, told investigators that he was changing the baby’s diaper when he noticed that her right leg “seemed to fall down” when he “picked up on it”. Hand stated that the baby’s leg “fell as though there were no muscle tone to slow it from falling”. Hand said he noticed that the baby had been “a little more fussy” over the past few days and decided to take [her] to Shands. According to reports, Hand and his wife were the only two caregivers for the child. Medical reports indicated that the baby had multiple fractures, including a displaced transverse mid shaft femur (thighbone) fracture, several posterior rib fractures, and a right metaphyseal tibial corner fracture. A transverse fracture is a straight horizontal break going through the mid shaft of the femur. The femur is the longest and strongest bone in the body. Doctors said it would take a tremendous amount of force to fracture the femur. Doctors stated that this type of injury is very painful. The femur fracture was noted to be at least seven days old. Additionally, the baby had not previously received any medical treatment for her injuries. According to reports, the different stages of healing and acute posterior rib fractures were “highly suggestive” of child abuse. Doctors also noted that the 4-month-old had a subdural hemorrhage in her brain. Reports indicated that the injury was consistent with having been struck in the skull. Hand and his wife, who has not been charged, immediately requested an attorney. The mother denied any knowledge of the injuries. Hand, at the advice of his attorney, turned himself in to police. 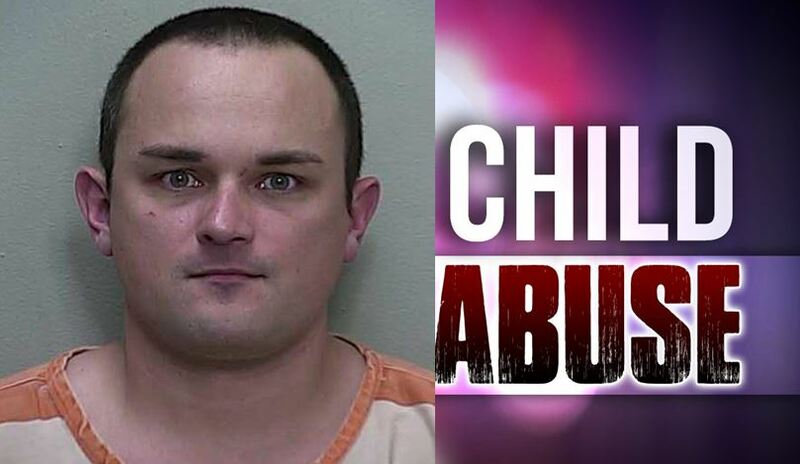 He was arrested and charged with Aggravated Child Abuse. DCF investigators said that the child faced the risk of death if she remained in her current living environment.